This year brought a lot of amazing games, exciting premieres and long-awaited titles. We were playing brand-new Assassin's Creed, emotional The Walking Dead, bloody Diablo 3, crazy Far Cry 3, beautiful Dishonored, hot Sleeping Dogs, classical Call of Duty: Black Ops II, updated PES and FIFA, dark Prototype 2, free Black Mesa and many-many others. But this year has almost finished, and now it is interesting to look, what the next year 2013 will bring to us. We'd like to show you our top-list of the most interesting and expected games. Ubisoft always surprises and attracts attention, and next year its brand-new action-adventure game is going to amaze us. In Watch Dogs everything is under the computer's control. ctOS - central operating system of the whole America - collects data about every computer, every machine and every person, so now no one can hide. But Aiden Pearce - mysterious hacker - has an access to the secret files in ctOS and can even destroy the whole system and the whole country. The game will follow this antihero and will tell us about the fantastic computerized world of the nearest future. Emotional and tense survival action-adventure games are very popular now, and that's why The Last of Us also in the list of most anticipated games. It is a story about little girl and strong man, that are trying to survive in a very severe and wild world after apocalypses. No one will help them, no one can save them, but they still have a hope, because they still have one another. The Last of Us is going to be released on the 7th of May, 2013, but unfortunately PlayStation 3 exclusively. First Bioshock game was incredible, and so lot of fans are waiting for the next continuation of this fantastic and mysterious story. This time the events will take place in America, in the lost city, that hides plenty of gruesome secrets. The protagonist of Bioshock Infinite is a detective with dark past, who needs to save beautiful woman. But this task won't be so easy and we are sure that it will be really impressive. The name of Lara Croft - one the hottest women in video games - is familiar to almost everyone. But in new Tomb Raider game we will finally learn the beginning of her story. Lara was a young pretty girl, who was dreaming about adventures. But these adventures turn into horrible experience. 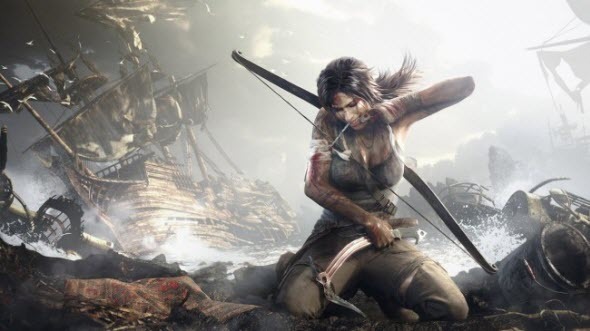 New Tomb Raider is a survival action-adventure game, where you will need to find water, medicine, save your life and call for help. The gaming process will last about 12 or 15 hours, but to finish all side quests you will need much more time. This game doesn't need to be introduced. GTA series is a great story about criminals with open-world, cool graphics and cool music. This time we will get three protagonists, and they will be cooperating and working together. The world is going to be amazingly immense, the cars are going to be fantastically fast and the story will be socking great. The developers haven't announced the exact release date of GTA V, but it is scheduled for spring 2013. Recently we got to know that it will be released on the 26th of March, but still it is only a rumor. So, how do you like our list? Will this year be really cool for gamers? What is your most anticipated game? We'd like to hear your answers in comments below and also we'd enjoy your comments and likes on our Facebook, Twitter and YouTube pages.